Journal of Physics and Technology is an open access interdisciplinary journal that publishes original articles and invited reviews in all fields of physics and engineering technologies. 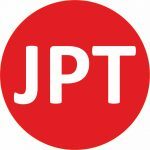 All articles published by Journal of Physics and Technology are freely and permanently available for downloading and read for anyone with access to the Internet, without subscription charges or registration barriers. Authors retain the copyright of their articles and are free to reproduce and disseminate their work. The Journal welcomes the submission of manuscripts that meet the general criteria of significance and scientific excellence in the diverse fields of physics and engineering technologies. Submitted manuscripts will be evaluated by at least one independent reviewer who is either member of the Editorial Board or ad hoc referees. Accepted manuscripts will be available online as PDF files immediately upon their publication. Journal of Physics and Technology is published 2 times a year (one volume with two issues annually). There is no publication fee for the authors. Please read the Author Guidelines before submitting your manuscript. Copyright © 2019 Journal of Physics and Technology. All Rights Reserved.